The Bachelor of Science in Accounting offers a proven business education that prepares students for accounting careers across the public and private sectors. As an accounting major, you’ll be exposed to the latest research and theory, with plenty of opportunity for classroom practice and real-world application. The program will prepare you for careers in financial, managerial, governmental, nonprofit and international accounting, as well as auditing and taxation. Accounting is often called the language of business, and the core courses help develop fluency. Financial and cost accounting, auditing, tax, ethics, accounting systems and research build the foundation for understanding accounting as one of the most essential areas of business. As you begin to learn more about accounting, you may choose to go into one of many specialized areas: corporate accounting, government accounting, nonprofit accounting, public accounting-tax or public accounting-audit. At UIC Business you will find a wide range of courses that help you move forward on the path that best fits your goals. For a full list of curriculum requirements, visit the UIC Catalog. For a full list of offered course, visit the course catalog. Effective management of people and projects is essential for all fields. This minor is a great choice for any student who aspires to leadership roles. ACTG 473 course is designed to satisfy research requirements for CPA candidacy. The course looks at SEC filings and company financial statements through case studies and research projects. Technology is transforming the world of accounting. In ACTG 474, you’ll study the concepts and practical considerations underlying the electronic business environment, accounting information systems and accounting software. ACTG 470 examines decision-making at both the individual and organizational levels, including the effects of moral, legal and economic factors on the decision-making process. UIC Business offers a five-year Master of Science in Accounting (MSA) program that provides the 150 hours needed to sit for the Certified Public Accountant (CPA) exam. By completing the bachelor degree requirements and maintaining a 3.25 GPA, you will be granted access into MSA program. Our program is designed to help build leaders in the field of accounting. Students work directly with a faculty adviser each semester to ensure they are following the right path to career success. And our program is independently accredited by AACSB. The following firms are top employers of UIC Business students graduating with a Bachelor of Science in accounting. 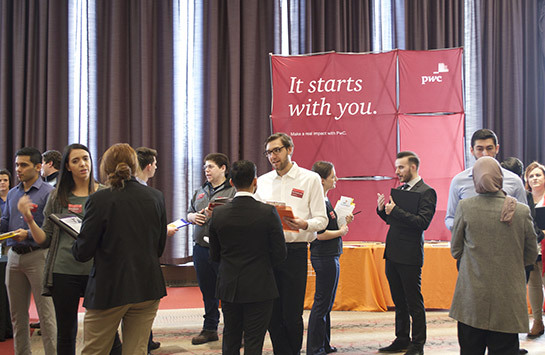 For more career resources, visit the UIC Business Career Center site. The UIC BS in Accounting program satisfies all the educational course requirements for taking the CPA exam in Illinois, including 30 hours of accounting, 24 hours of business and the required specific courses. The only additional requirement needed is a total 150 hours of college credit, which can be obtained through the Master of Science in Accounting program offered through our UIC Business Liautaud Graduate School.